What is Beacon of Blue™? 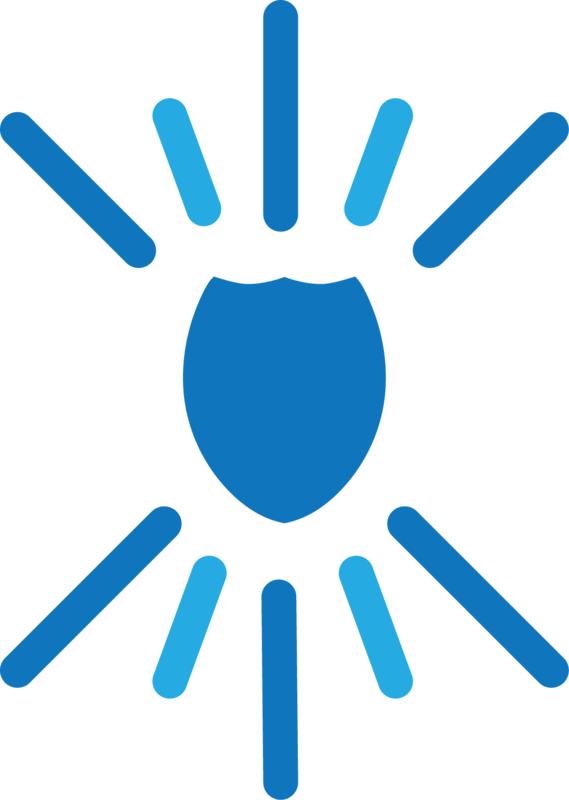 Beacon of Blue™ is an initiative created by Golden State Restaurant Group and Support Stockton PD, an organization that encourages a positive alliance between police and local residents. A fixture in the area for more than 50 years, the family of Don and Jean Schrader, the owners of the first McDonald’s franchise in Stockton, has been instrumental in creating and promoting the program. As a sign of respect and support for officers, area McDonald’s are installing small blue lights around their rooftops and hosting events where police officers and community members gather in solidarity as they symbolically flip a switch to illuminate the lights. The restaurants also hand out blue bulbs to attendees so they can take them home for use in a porch light or elsewhere to spread the message in their neighborhood. The goal of the Beacon of Blue™ initiative is to spread a message of reconciliation, trust, and hope throughout the San Joaquin Valley and beyond. Approximately 35 McDonald’s restaurants have lent their support to the movement. But that’s just the beginning. Through partnerships with businesses, police departments, government agencies, and communities around the nation, we hope to see the entire country radiating a reassuring blue hue as a new era of trust and cooperation between police and citizens takes hold. The “blue” in the name comes from the traditional color of police uniforms, and also from the idea of the “thin blue line” that separates a community from the chaos that would ensue without the men and women who swear an oath to protect and serve it. Originating in the United Kingdom, the symbol was initially displayed to honor fallen officers, but its meaning has expanded to represent all first responders and promote the ideas of honor, integrity, safety, and peace. Today it is widely used throughout the United States and Canada. First and foremost, thank a cop. A friendly wave or a word of encouragement is all it takes to start tearing down walls. Send an encouraging message to your local police department! Share the Beacon of Blue™ story with your family and friends. Have them visit this website for more information. Replace the white bulb in your porchlight with a blue one – you’ll be making an optimistic statement about our future.